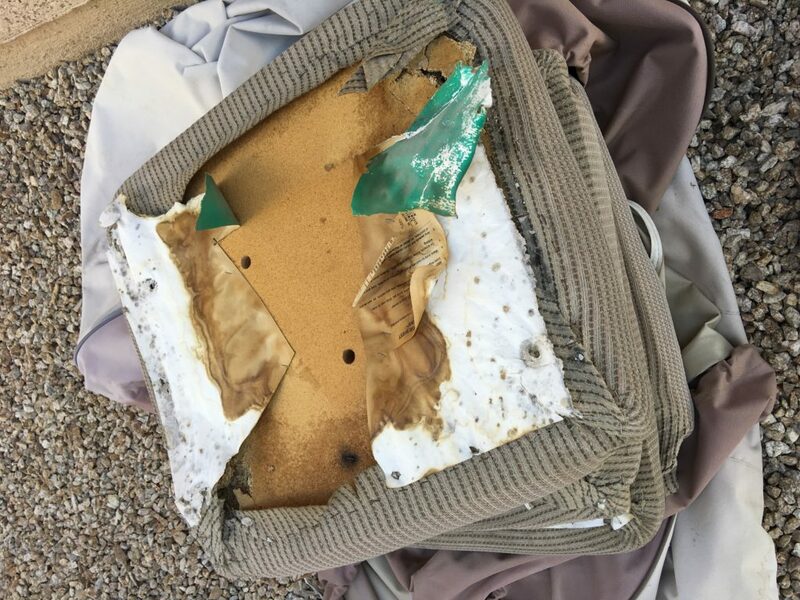 For five summers, I watched an outside dining set melt in the Vegas sun. We don’t have many gray skies through the year but the summers are particularly punishing, topping out at 117 degrees for at least two weeks in July. I knew the chairs were toast when a couple of friends sat down and they fell into the frame as the seat disintegrated beneath them. 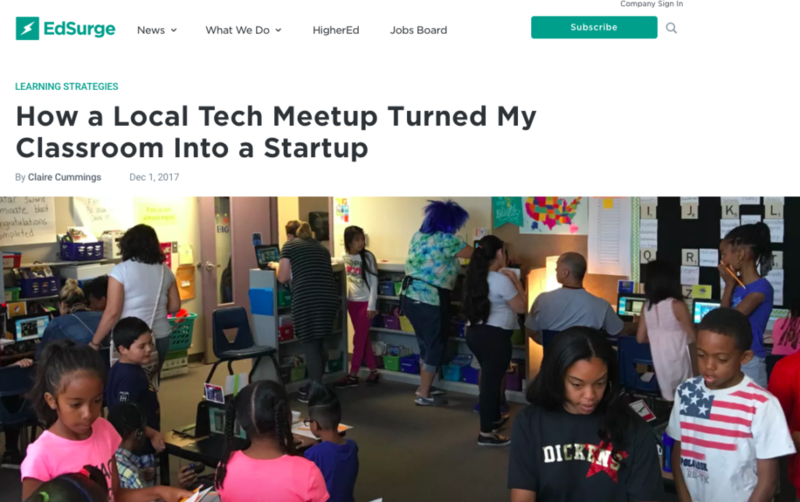 EdSurge is collecting stories from across the nation on how personalized learning is being implemented in various ways. I’m grateful for the opportunity to return to my education reporter roots to write a piece about my journey in the classroom. You can read the article here. Our new “homework” in action. One day at recess, I watched two of my third-grade girls playing a video game called Animal Jam on a tiny cell phone screen. They worked together to make all kinds of decisions. Should we adopt this animal? How should we decorate our den? What are we supposed to do on this part? 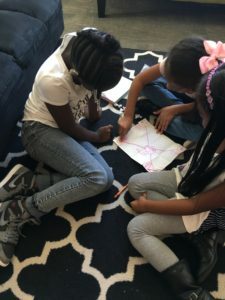 Their conversation blew me away and I thought, how can I get students to talk to each other like that in the classroom? The answer was right in their hands: video games. It was really important to me this year to try out activities and strategies that would leverage the power of my 1:1 Chromebooks. My first order of business was to implement two computer centers in my station rotation model instead of one. 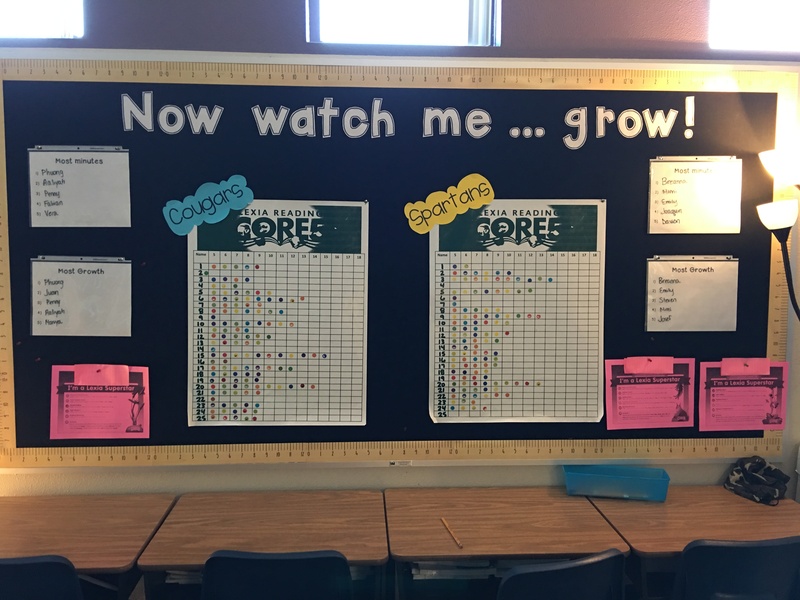 The second was to better engage students in whole group instruction with interactive tools. 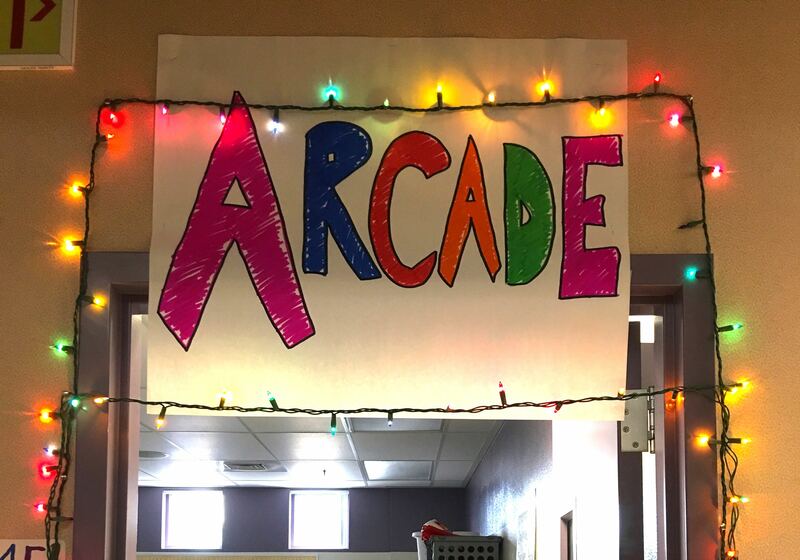 World, meet our Lexia board. I knew when I dove into blended learning that I wanted my students to track their progress on our adaptive reading program. Originally, I planned to make individual data booklets but I soon realized I wanted to go bigger. 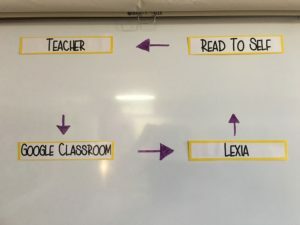 If I truly believe in the power of this “other teacher” in my room, I thought, then I must make it have a huge presence. So the Lexia board was born. 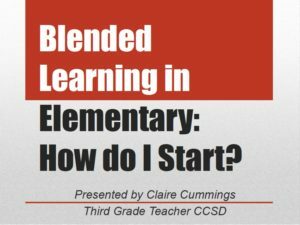 When you decide to shift to a blended learning model, it forces you to think differently about everything in education, including the classroom setup. 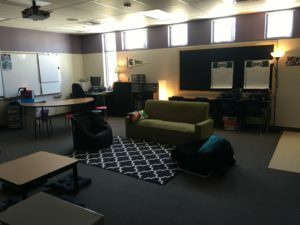 I decided to take the leap this year into flexible seating because students are constantly moving in blended learning, which lends itself to a different kind of classroom environment (think Google or Starbucks).